The company also plans to launch 28 new residential projects worth a total Bt46.6 billion this year. 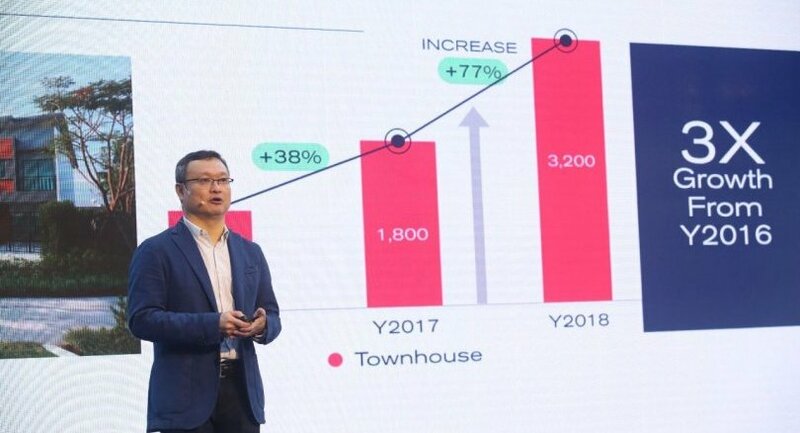 They include 12 condominium projects with a total value of Bt22.4 billion, nine single house projects worth Bt18.7 billion and seven townhouse projects valued at Bt5.5 billion. The company will focus on medium-priced and affordable market segments, which compose 96 per cent of the total value of new projects in the year. 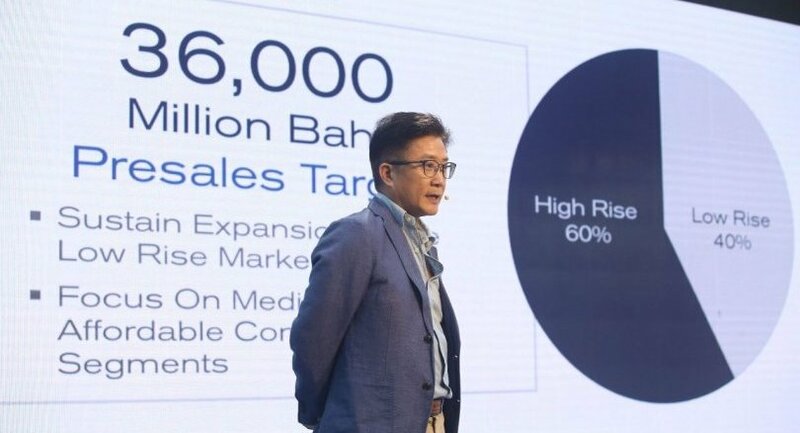 The company has targeted Bt36 billion in presale revenue this year, along with ownership transfer value of Bt32 billion. This kicks off presale targets of Bt160 billion from 2019 through 2021, Wanchak said. In line with its business goal, the chief operating officer Uthai Uthaisangsuk says, the company’s 2019 strategy will increase its focus on the in-depth details of what customers need to enhance their living experience. In light of the changing trends toward health and environmental consciousness among modern people, the company has mapped out a new vision “For Greater Well-Being” and will expand the application of its “green” and “well-being” approaches in all new projects. These approaches will be first introduced at Setthasiri Taweewattana, Sansiri’s first single-home project with the well-being development concept to be launched this month. Presales for Wellness Residence, Thailand’s first condominium for health-conscious living located in the Krunthep Kreetha area, is set to be launched in the second quarter of the year. More projects under the Burasiri brand will be developed to cater to increasing demand from those Bangkokians who prefer a resort-style residence. Sansiri is also planning to launch a “dust-free house” for the first time in Thailand this year, and has as well announced proactive measures to reduce the consumption of energy and natural resources throughout the project development process. “We believed that the Thai real estate market in 2019 continues to grow, with slightly sluggish sales in investment purchases among Thai consumers. However, we believe that the real demand sector will grow on par with last year. More competition in price and project development will give more choices for consumers,” said Uthai. “Our competitive advantages will bring us another excellent year in 2019, as consumers in the real demand sector prefer to choose a well-established brand with a proven track record in quality and after-sales services. “We are confident that ownership transfer value will be achieved this year as expected, with strong presale revenue to be recognised from consumers with high purchasing power, especially Chinese and foreign customers who paid a high down payment and are confident in the long-term investment potential of Thai real estate,” said Uthai. Last year the company recorded total presales of Bt48.5 billion – the highest sales record in its 34-year history. The figure represented 25 per cent year-on-year growth, with Bt14 billion of the presale total coming from foreign buyers, up 51 per cent from 2017. The company has Bt63.5 billion in current sales backlog of units ready to transfer to customers when projects are completed. The transfers will take place from this year through 2021. In the first nine months of 2018, Sansiri reported total revenue of Bt17.95 billion to the Stock Exchange of Thailand, with Bt1 billion in net profit, a net profit margin of 5.5 per cent.